If somebody asked me where was the oldest free lending library in Scotland, I would have hazarded a guess at one of the institutions in Edinburgh – the National Library of Scotland, for example. I would never in a month of Sundays have thought of a pretty little house by the River Earn in the heart of rural Perthshire. 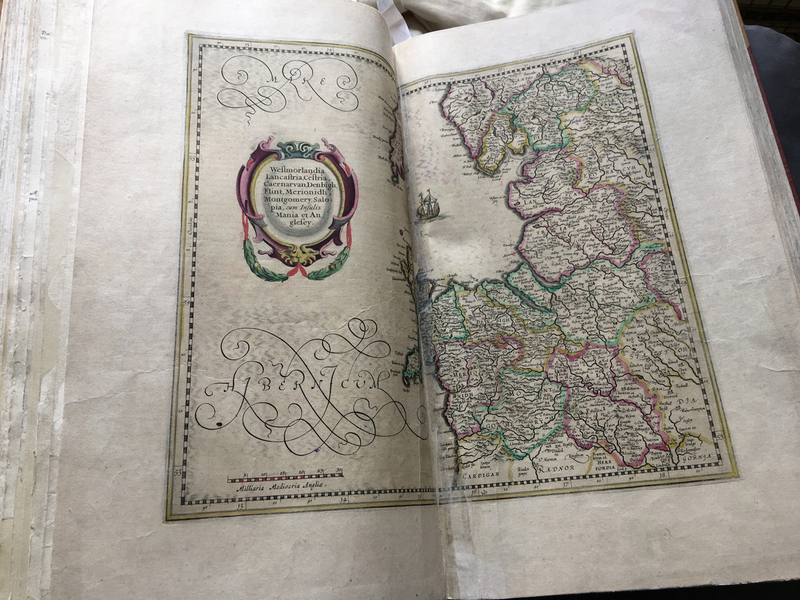 Innerpeffray Library has been lending books to the public since 1680, thanks to the generosity and foresight of David Drummond, 3rd Lord Madertie. Drummond was a wealthy landowner and brother-in-law of the 1st Marquis of Montrose. A renowned scholar, he had amassed a valuable collection of books in English, Latin and several other languages, and he wanted to make them available to everybody, as a gift of learning. 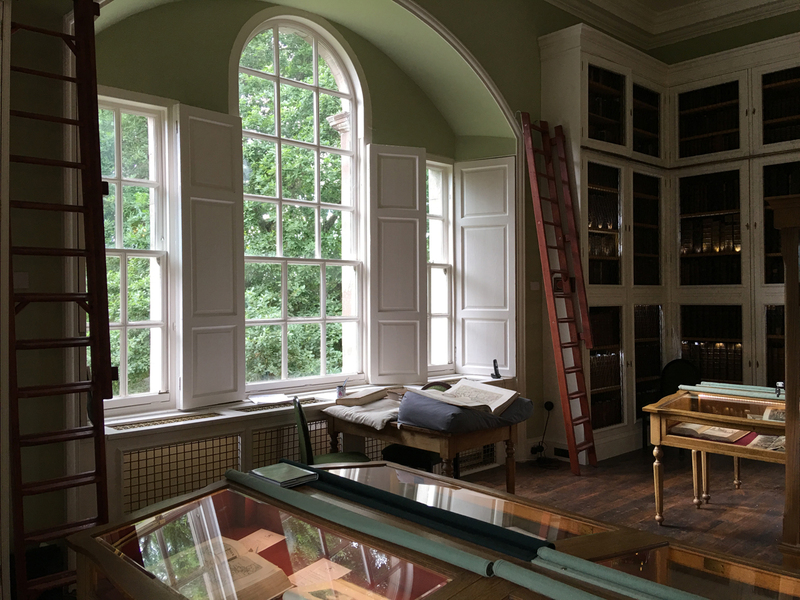 His vision was both generous and unprecedented; on his death, he left a legacy of 5,000 Scottish merks with instructions to his successors to perpetuate his library for the benefit of future generations. To honour his wishes, Drummond’s heirs set up a Trust Fund which went by the delightful name of the Innerpeffray Mortification. Today, the Library is a registered charity and it relies on fundraising and visitors’ donations to remain open. 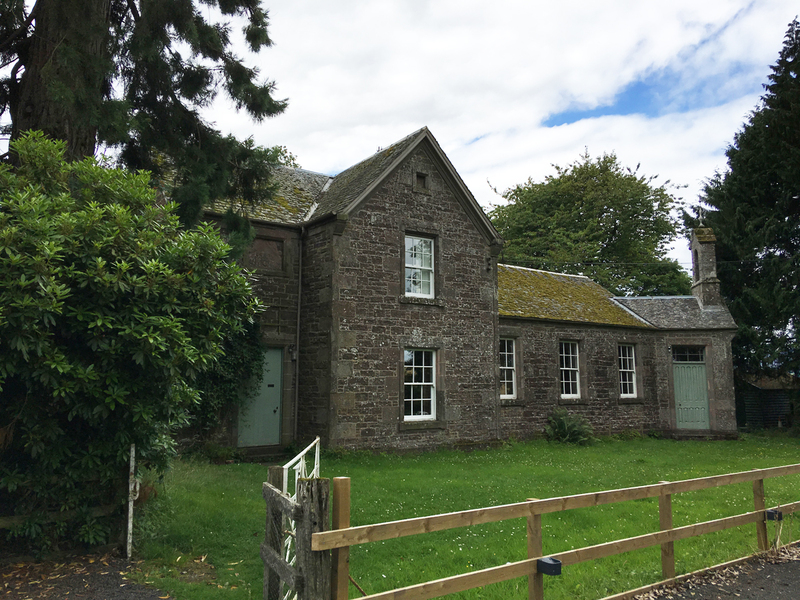 Drummond’s collection was initially housed in the chapel of Innerpeffray – a remarkable building in itself – but the library soon outgrew its home. In 1739 it was inherited by Robert Hay Drummond, later Archbishop of York, and he commissioned a new building adjacent to the chapel which would accommodate the expanding collection. In the 18th century, a movement known as the Scottish Enlightenment inspired a starburst of learning in all academic fields, from philosophy to science and literature. Edinburgh was described as a ‘hotbed of genius’, and in 1762 Voltaire wrote that “it is from Scotland that we receive rules of taste in all the arts…” Literacy in Scotland rose to new levels, and men of social standing collected books for their own education as well as that of their family. 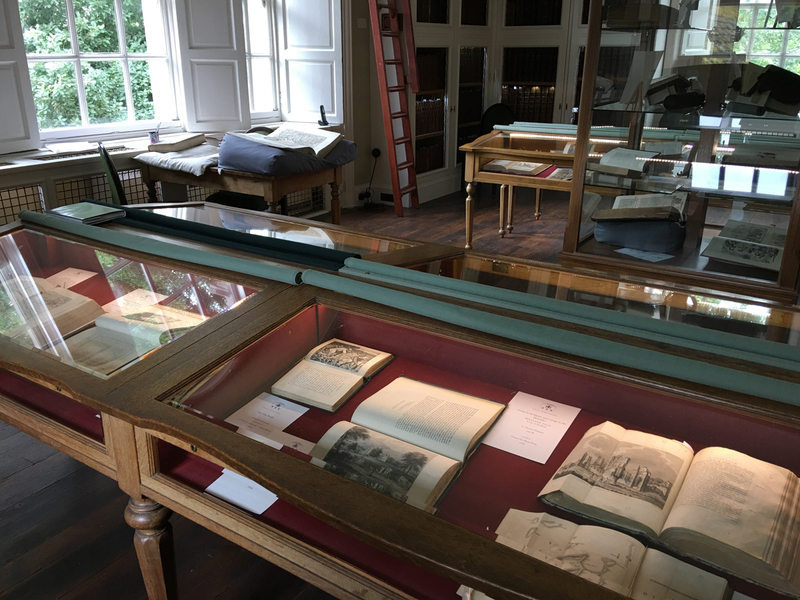 As a freely accessible resource, Innerpeffray would have been loved by aspiring scholars just as much as it was prized by academics. 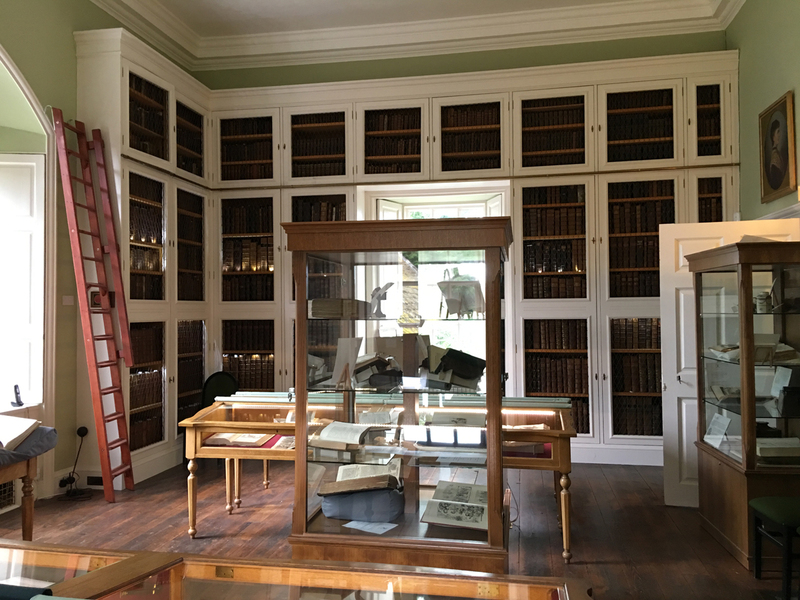 Through additions made by Drummond’s heirs, and donations from benefactors, the library now has about 5,000 books. Most were published before 1800, although there is a small anteroom on the first floor containing more ‘recent’ volumes. 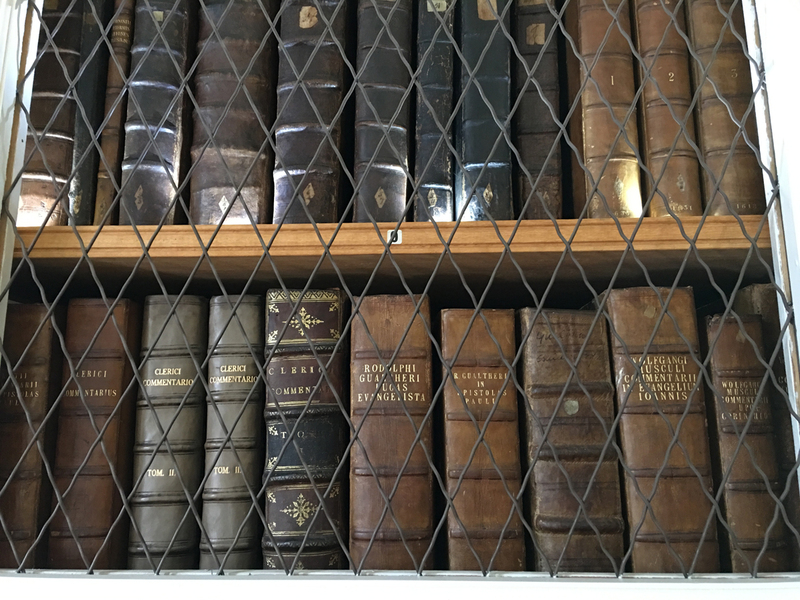 In one of the cabinets on the ground floor are the borrowers’ ledgers, in which every single book loan from 1747 onwards has been faithfully recorded by generations of librarians. These tell their own unique stories: regular borrowers included local people and craftsmen such as stonemasons, as well as theology students. The ledgers are a fertile source of reference for people researching their ancestry, and it is even possible to trace a borrower’s tastes and interests through his or her choice of reading matter. From its earliest days, the library was available for use by the local school, which stood next to the graveyard. By the 19th century the original school buildings had fallen into disrepair, and in 1846 a new schoolhouse and school master’s house were put up nearby. These continued in use for another 100 years. For practical reasons, the library no longer permits books to be taken off the premises, but it is still possible to browse the vast collection for the purpose of research or personal interest. 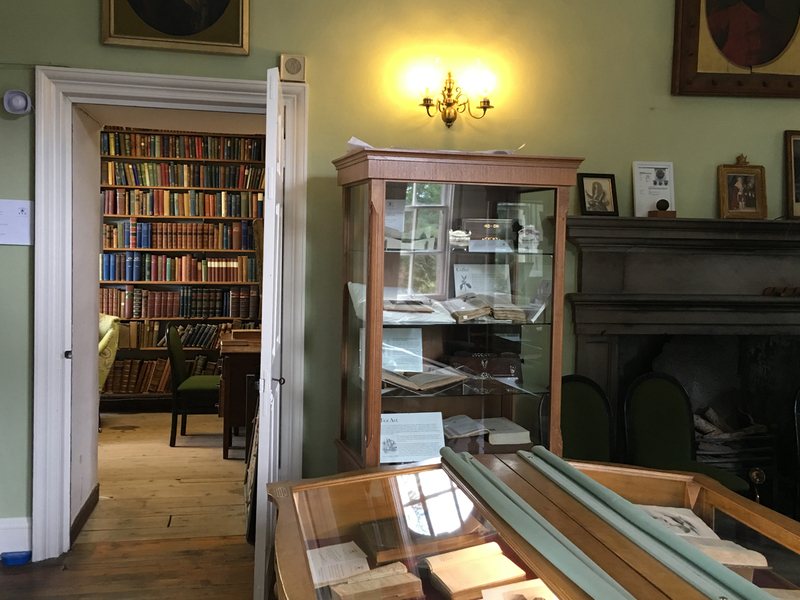 The lower floor is dedicated to the ‘Scottish collection’, recently inherited from an American bibliophile and spanning five centuries of history. This includes work by writers of the Scottish Enlightenment such as David Hume, Adam Smith and Joseph Black. 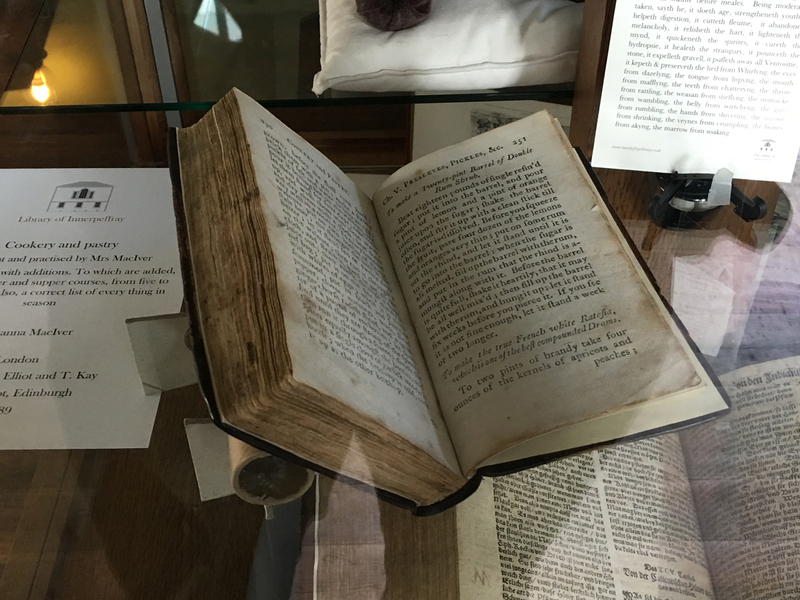 A first edition of ‘Treasure Island’ lies open in a case, along with an early book of music and some precious letters written by Robert Burns. 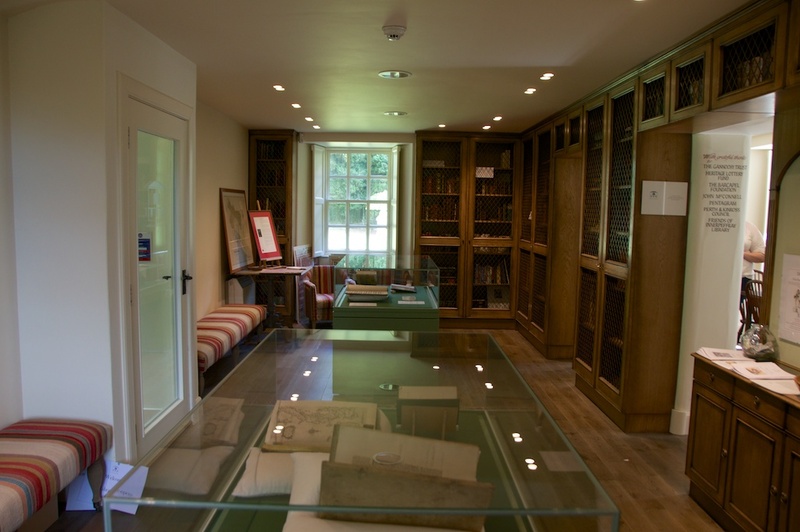 On the top floor is the heart of Innerpeffray’s wonderful collection – the original books bestowed by David Drummond and curated by his descendants. A stone staircase leads up to an elegant room with glass-fronted bookshelves from floor to ceiling and rows of display cabinets containing a diverse selection of treasures for you to marvel at. 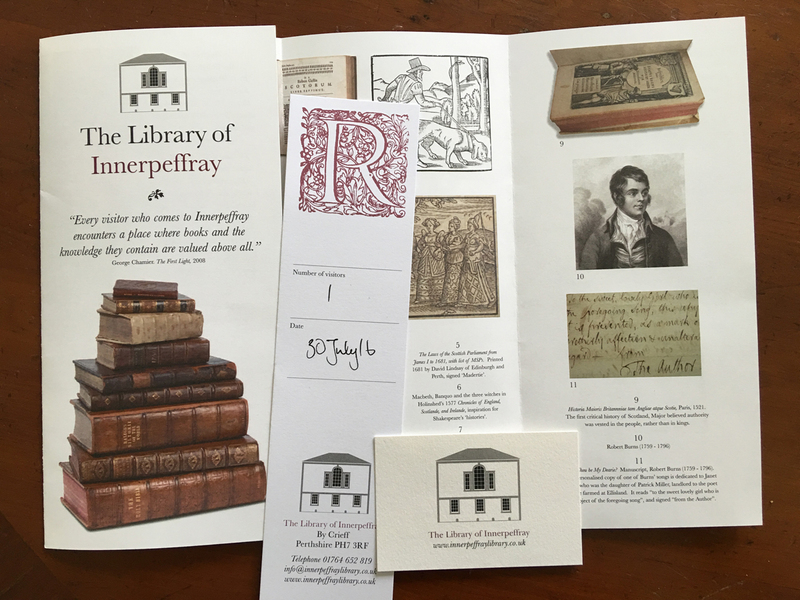 Lara Haggerty, Innerpeffray’s Keeper of Books, was extremely helpful in answering my questions. 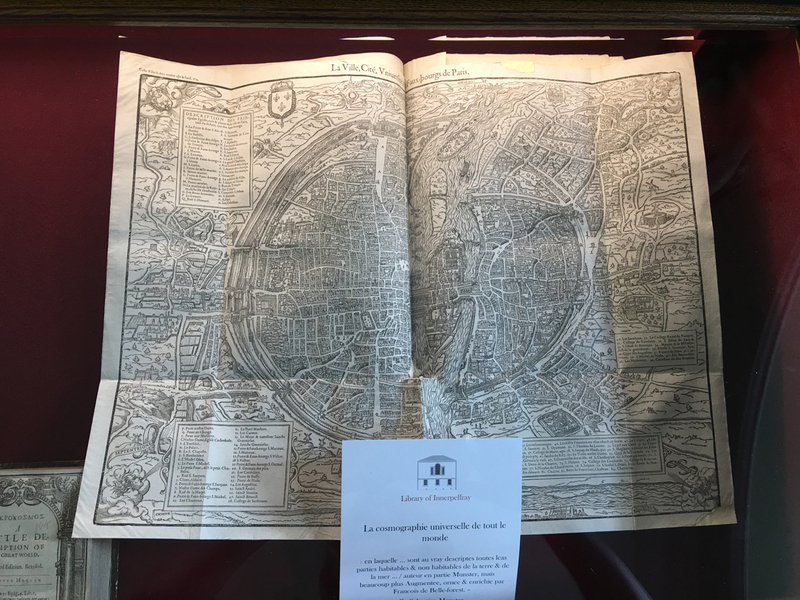 She pointed out some of the highlights of the collection, and readily allowed me to turn the pages of the most beautiful atlas that was lying open, temptingly, on a cushion. I watched in absolute amazement as Lara got out a collection of miniature books for me to see: and when I say miniature, I really do mean miniature. These are all bibles, dating from the late 1800s, and they were made as printers’ showcase pieces, all beautifully bound, like dolls’ toys. The tiniest was about half the size of my thumbnail. They are not just curios, however – you can read them with a magnifying glass, but it would need to be a pretty strong one! Other displays focused on travel – I noticed some first editions of David Livingstone and Mungo Park; one book cabinet had the theme of ‘coffee’, and another focused on the delights (or temptations) of alcohol. The theme of these displays is changed regularly, so that there’s always something new on show. Books were propped open to show drawings of fabulous animals and birds; a recipe for rum punch; a map of Milan; and loads more besides. Everything was extraordinary and fascinating. Even the binding of these books is exquisite, and some of them contain handwritten notes or inscriptions by the library’s founder. Lara told me that every single book is taken off the shelves every year, and carefully dusted. “It’s a bit like painting the Forth Bridge,” she said, and I can see why! Tall ladders stand ready to give access to the topmost shelves, while portraits of Drummond family members adorn the walls above the fireplace. There’s a lovely stillness about the place, a kind of hushed reverence. 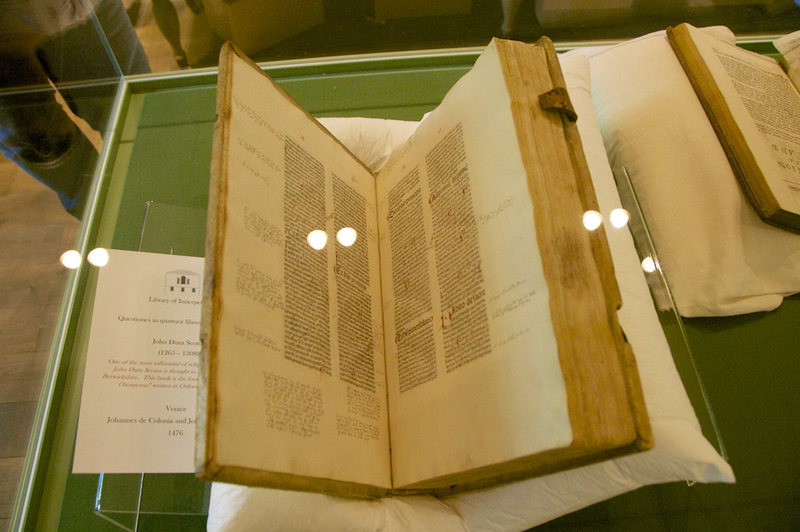 (Left:) The oldest book in the Library is ‘Questiones in quattuor libros Sententiarum’, by John Duns Scotus, dated 1476. This is an ‘incunable’*, still bound in the original oak boards, and annotated in the margins. John Duns Scotus (c.1265-1308), was a Franciscan friar. Born in Duns in the Scottish Borders, he studied and taught in Oxford, Cambridge and Paris. He was famed for his lectures on Peter Lombard’s ‘Sentences’ – discussions on theological doctrine – which survive in medieval manuscripts and were reproduced in the late 1400s, in some of the very first printed books. (Right:) Machiavelli’s ‘The Prince‘ is included in this book entitled ‘Les Discours de l’Estat de Paix et de Guerre’ (1571) with a frontispiece showing a phoenix rising from the ashes. It’s bound in vellum, with handwriting by Drummond’s grandfather – you can just make out the word ‘Innerpeffray’. *An incunable is a book printed in Europe before 1501, and therefore pre-dating the advent of printing presses and mass production. Innerpeffray is a delightful place, nestling by the River Earn with woods and farmland all around, and the ghosts of Roman encampments and signal stations dotted all over the landscape. It’s a jaunt to get there, taking you along single-track roads with high hedges, but that makes the sense of discovery even more special. What a precious thing, to have survived for over 300 years, and still be available for our enjoyment today – just as David Drummond would have wished. Innerpeffray’s Keeper of Books: This ancient title is currently held by Lara Haggerty, whose role is to look after the Library and its visitors. I also met Jill Dye, who is working on an applied research PhD jointly with Innerpeffray and the Universities of Stirling and Dundee. 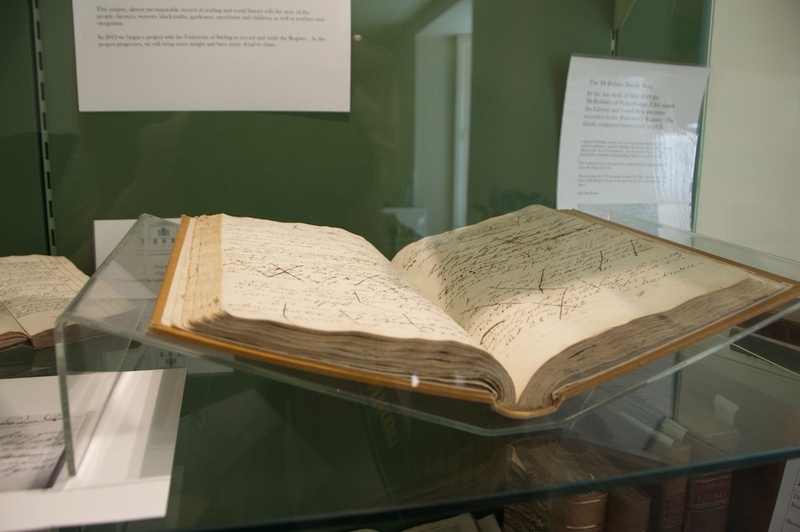 Jill’s field of research is Innerpeffray’s Library Books and Borrowers from 1747 to 1857. The Library is supported by a team of volunteers. Admission is by donation, or for a small fee you can enjoy a guided tour of the lower and upper floors. I would recommend this, as it is impossible to see at first glance what books are the most remarkable or precious. You can also ask the multitude of questions that come to mind, and feel more reassured about handling some of these wonderful books for yourself. Many thanks to Lara and Jill for showing me around. What a fascinating post, Jo! On my wish list! Haha, you will love it, Marie! It’s fabulous! 🙂 Thanks for re-blogging it. Oh, Jo, what a treasure. David Drummond should have a special place in heaven for this. I wouldn’t be surprised if his legacy actually encouraged people to learn to read. Most folks in that day and age would rarely see a book, let alone own one. He gave them a reason to want to learn. And what a wonderful treasure it is today. I wish I could climb into your pictures and explore! Thank you! It was such a lovely discovery – I’d known about it for a while but didn’t know what to expect. So nice that people can just drop in and make use of the books, just as David Drummond intended. Took a look at your blog – what a lovely afternoon you spent there! And book-making, too – a nice way to spend a winter’s day, I should think. One of the reasons the early settlers thrived in Canada was because of the immigrant Scots who assumed so many leaderhip roles. Our first prime minister, physicians, authors, inventors, presidents of colleges, publishers of newspapers… all educated in Scotland. My great grandfather, a poor farmer, came here in 1851 during the Scottish Clearances. But even he had a bit of education and could speak, read and write in English as well as Gaellic. There was a small lending library on the tiny island where he had lived and he had enjoyed it so much. I still have some of his own books. The only picture I have of him shows him reading. So thanks to Scotland for making education a prioity and introducing books to so many. The photos in this article are wonderful Jo. Thanks for all you do. What a wonderful story, and a perfect example of what reading and education can do. That library must have been such an important source of pleasure and learning for your great-grandfather. Lovely to hear that you still have some of his books! Yes, it seems that Scotland placed a great emphasis on education, and thousands of people must have benefited from it. Most welcome, Mardie, and thank you too, for sharing this lovely story! I guess that’s true, David, although there must be other factors in there – the way we access reading material has changed dramatically, and libraries are having to find new roles in addition to being a lending service. 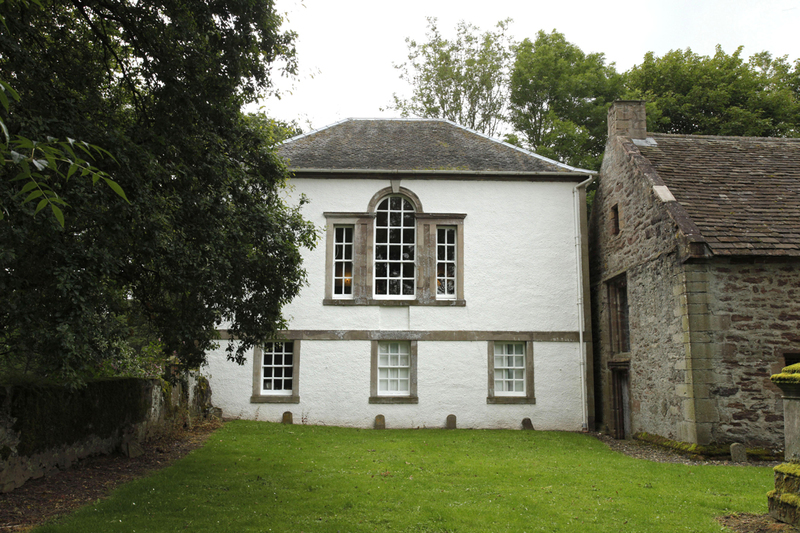 I’m glad that Innerpeffray has survived, as it is such a gem. Yes, absolutely! 🙂 Thanks, Tanara. I cannot beleive I didn’t stumble across this while I lived in Scotland. Most welcome! Such a delightful place to find. What an incredible place, and wonderful that it’s still open. I visited it briefly a few years ago, but didn’t take the tour and didn’t know you could consult the books. It sounds as if it would be well worth spending a decent amount of time there, you could lose yourself in those amazing tomes and all that history. You’ve taken some great pictures, they give an excellent idea of what it’s like. Those miniature books are astonishing. What a gem of a memory and a treat for my son, my wife and I to visit there from the USA in 2010. 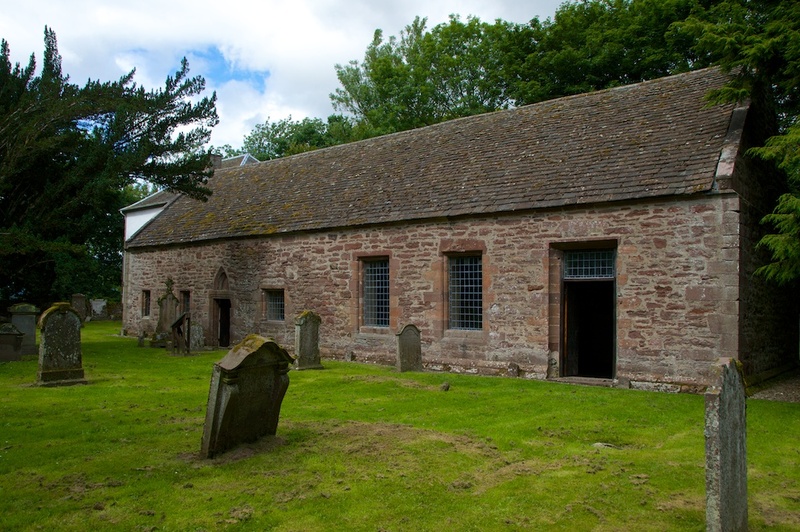 James McRobbie, my 4th GGF, lived in nearby Muthill and in 1751, at age 20 was married at the Innerpeffray Chapel. As noted above, the library collection was still in the Chapel loft, until 1762 when books were moved to the new library building. We were excited to find in a register, that James borrowed a book on August 29, 1757, promising to return it in three months. 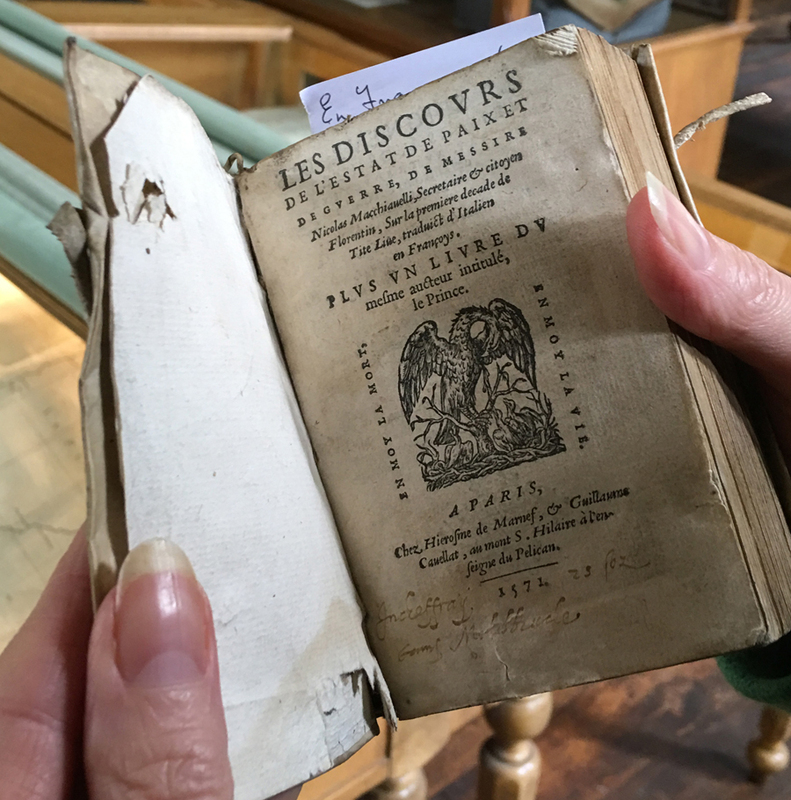 On sharing this with Lara, she went to the stacks and brought out the book to show us: the 1631 edition of Perkins, vol. 2 with Lord Drummond’s title (Madertie,) written in it (by him?) Another register revealed James borrowed again in 1763 and Lara found that one too. It appeared that the scratched out register record meant the book had (fortunately) been returned. Lara assured us that late fees are forgiven after 250 years. This was a memorable adventure for us. Thanks again, Lara. Wow, what a great story! How wonderful that you were able to hold the books that James borrowed! That must have been such a lovely feeling – like touching his hand, almost. And for him to be married in the chapel as well… how fabulous for you to be able to see inside it. All so unspoiled and peaceful. Thanks so much for your comment! 🙂 Glad that I was able to bring back these memories.